Maya Angelou was born on April 4, 1928. 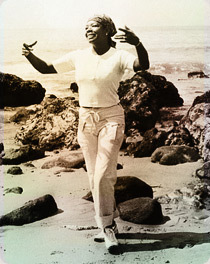 She rose from humble beginnings having worked as fry cook, prostitute, night-club dancer and performer to become a premier writer, poet, actor, director, civil rights leader. She was honored with the Reynolds Professorship of American Studies at Wake Forrest University. In 1993 she read her poem “On the Pulse of Morning”, at Bill Clinton’s inauguration. 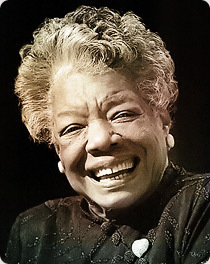 Angelou’s literary achievements inspired many poets as well as her faith in the promise of America. As an African American woman, she led a long courageous life, befriending Malcom X, Martin Luther King Jr and his wife, Coretta Scott King, Oprah Winfrey and Rosa Parks among others. I’m a black ocean, leaping and wide. She taught unity in brotherhood and sisterhood without racial, gender, or ethnic discrimination. She read “On the Pulse of Morning,” at William Clinton’s inauguration and has been blessed with numerous publications and honorable achievement awards, including the Presidential Medal of Freedom, presented to her by Barack Obama. In addition to her many creative talents (writer, director, singer, dancer, actress), she will be most remembered for her courage as an African American woman in a day when speaking out and taking a stand for truth in our country was very dangerous. Maya Angelou, a great American, was an inspiration to me personally. 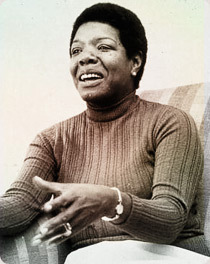 From when I read her memoir “I Know Why the Caged Bird Sings” to her poem “On the Pulse of Morning”. 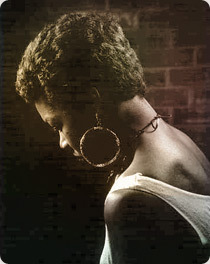 Ms. Angelou inspired to me to believe in the promise that is America through her writing. That we are all one people under the sun with liberties and justice for all. 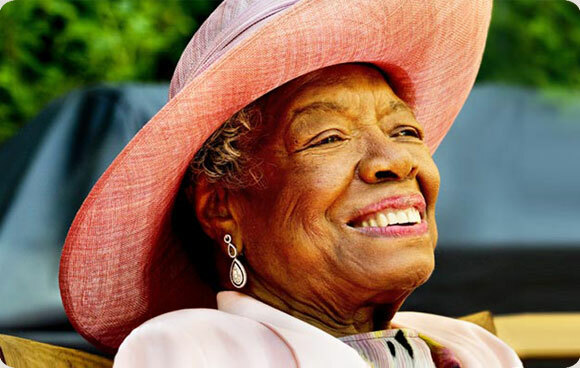 Dr. Maya Angelou was a luminous multi-talented activist and freedom fighter who used her God given gifts to raise the “advanced” among us to better and more conscious human beings. Her legacy is a beacon to assist us to transform our bleeding, toxic and polluted world into a more exalted one. I love Maya Angelou’s prose and poetry, but I admire how she was able to overcome so much adversity and reach worldwide claim. She had the talent to put into poetry what we were feeling deep down inside. I will miss this gracious lady. This entry was posted in fox chase review, literary news, Philadelphia Poetry Scene, poetry news, Uncategorized and tagged Alice Wootson, diane sahms-guarnieri, lamont b steptoe, maya angelou, mel brake, Poem, poet, poetry, Remembering Maya Angelou, RIP Maya Angelou. Bookmark the permalink. Well said, Diane. She was an inspiration to the world. I was fortunate to meet and talk with Dr. Angelou on several occasions. The last time I saw her was at the Faison Firehouse in NYC for a tribute to another one of my heroes James Baldwin. I only had the opportunity to say hello as Nic Ashford escorted her out in a wheelchair but I will never forget the wink and smile she gave. When she had you in her vision she had a way of making you understand for that moment; for that instance in time, you were the most important person in the world! May we all remember how to leave people feeling better after they have meet us.